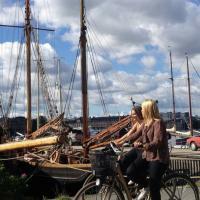 If you’re enjoying a cruise and docking in Stockholm, make the most of the time you have in the city, however short! 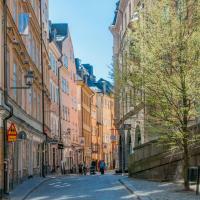 Even if you only have a few hours, with a local by your side you can experience the best of what the city has to offer and get acquainted with Stockholm’s personality. Whether day or night, you’ve got a few hours or a few days, experience a taste of life in the city even on your layover as you explore Stockholm with a local, seeing the most famous landmarks like Gamla Stan and The Royal Palace and exploring a local neighbourhood. And of course, your local will always find the time to squeeze in a few hidden gems and take you to the best restaurants and coffee shops where you can enjoy fika and taste an authentic slice of the city’s cuisine. Your local will design a fully personalised and bespoke route for you which allows you to make the most of your time in the city, seeing the most famous attractions through the unique perspective of a Stockholm local. 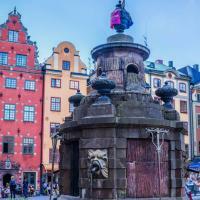 See the iconic sights like the Royal Palace and Gamla Stan, get off the beaten path and explore diverse and delicious neighbourhoods on another of the city’s fourteen islands or get involved with some of the cultural happenings in the city - your time is precious so spend it exactly how you want to! Even if your layover is at night, there’s lots to do, and your local will design an experience that suits your personality. This experience was really good! My husband and I have been on a lot of cruises and it's always a bit difficult to make our way around the stopover cities on our own as we don't know all the good places. Our guide Tom was excellent and showed us so much of the city's culture and heritage in a short space of time! He was really patient and welcoming, and was really passionate about his city! Excellent!